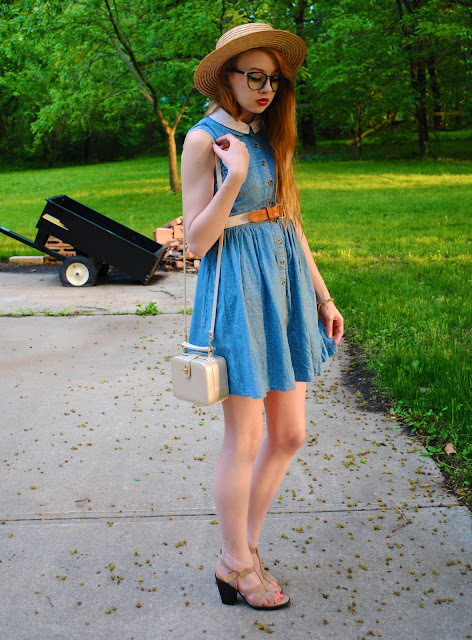 I bought this dress while I was in Ireland and it's one of my favorites! It goes well with so many things. I can't wait to wear it again. It was so cheap, too! 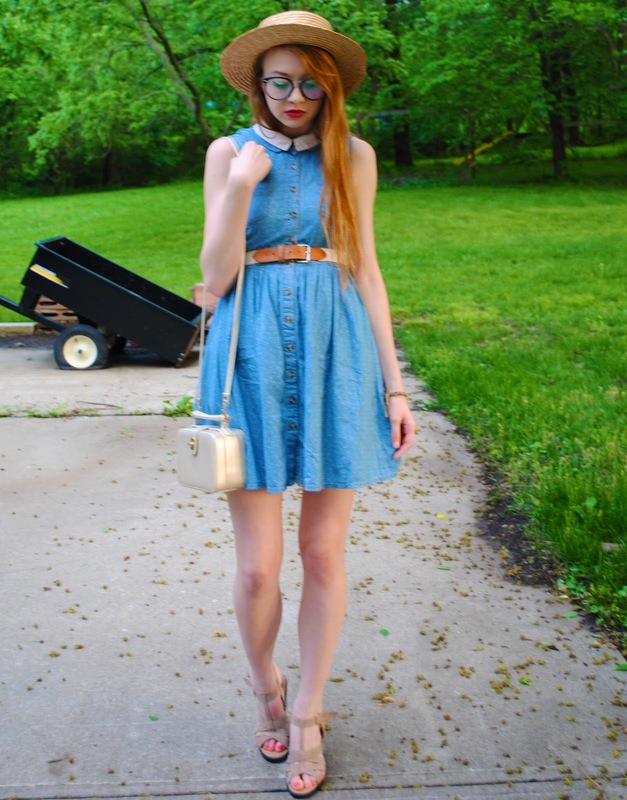 I love that boxy bag, especially paired with that cute denim dress! I LOVE LOVE LOVE this outfit!! !